Just as fashion stylists mix and match with both high and low end, I like mix cupcake baking with both scratch baking and store bought items. Yesterday, I made some cupcakes using Duff Goldman's Purple Rain cake mix. Since I am big fan of Prince, the name "Purple Rain" was appealing to me. 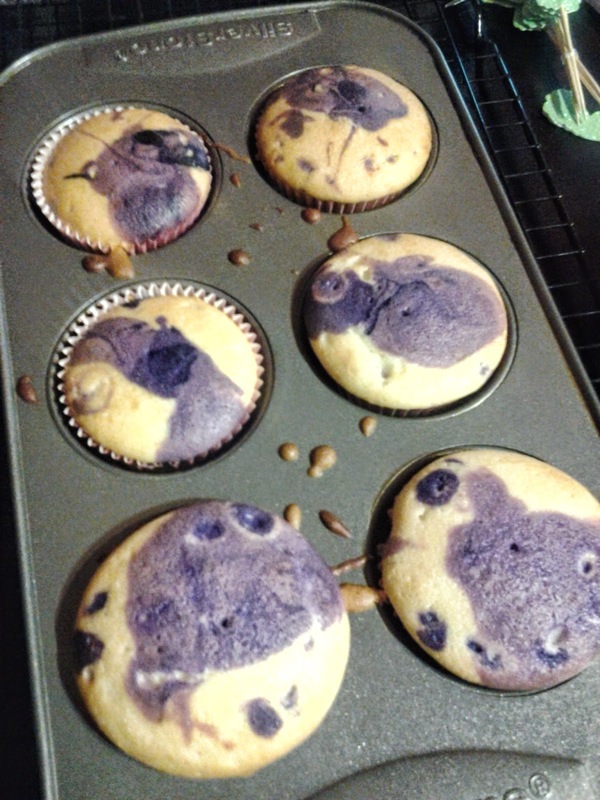 I used the food coloring gel sparingly so that the cupcake batter would be lavender rather than deep purple. For the frosting, I made vanilla buttercream frosting from scratch using the recipe from Heather Saffer's cookbook,The Dollop Book of Frosting. 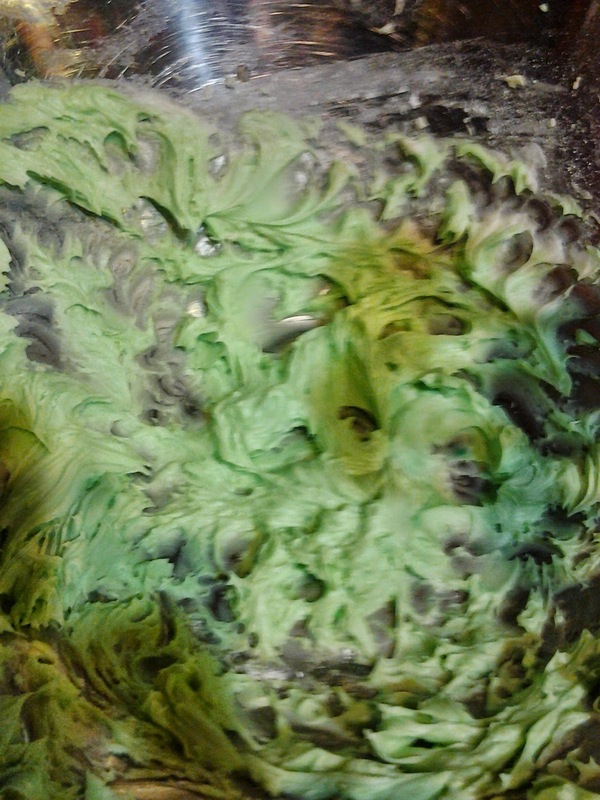 Then I used both green and yellow food coloring to make a mint color frosting. 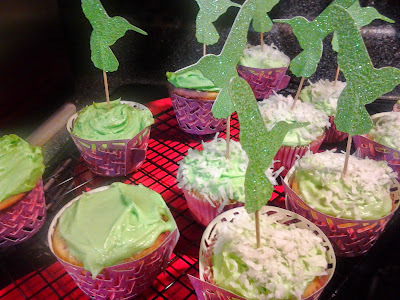 I dipped the cupcakes in shredded coconut and then use some Martha Stewart cupcake toppers and liners to decorate. My mom bought the Martha Stewart stuff at JC Penney's when they were on clearance last year.